This two-day juried fine art show is part of the opening weekend of the Three Rivers Festival. 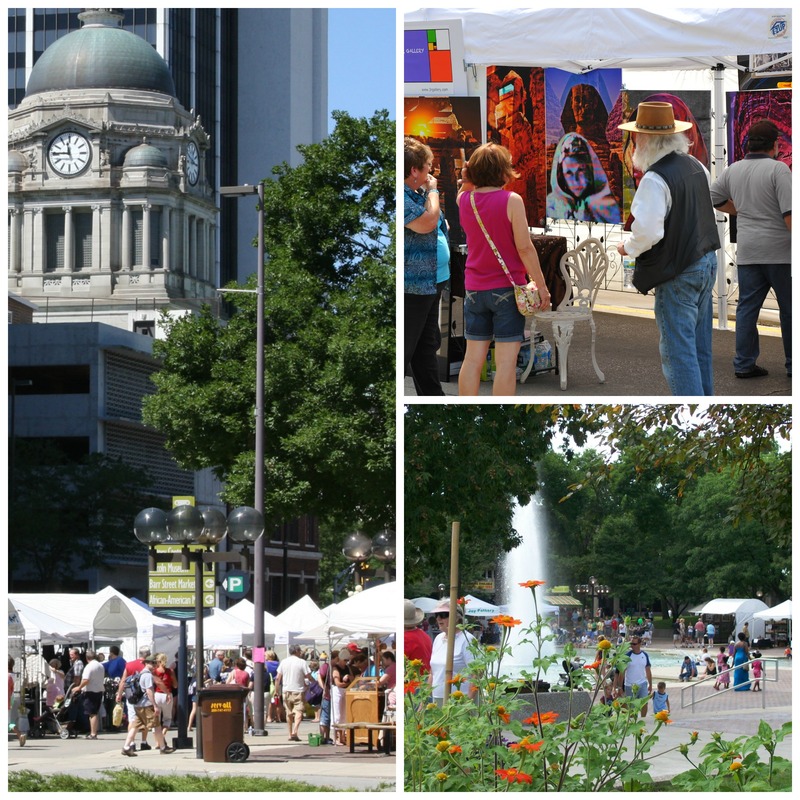 Annually, approximately 30,000 visitors look forward to this popular event which is located in the heart of Fort Wayne's Cultural District and next to the Fort Wayne Museum of Art, Auer Center for Arts and the Performing Arts Center. Art in the Park is also connected to the Fort Wayne Museum of Art's Chalk Walk event which draws street artists from around the area to decorate Main Street with imaginative creations of chalk art. Come join Indiana's second largest festival as we celebrate our 51st year in Fort Wayne! This two-day juried fine art show is part of the opening weekend of Three Rivers Festival. Artists will be notified by May 1, 2019 of acceptance into the show. Don't miss out on your chance to be a part of the Art in the Park scene. Be sure to sign up now because space is limited! Artists must supply their own booth display consistent with the presentation on the downloaded images. Be prepared for inclement weather with rain covers, tie downs, weights, etc. All tents must be self-supporting. Booth fees will be due by June 1, 2019, a late fee of $25 will be added after June 1, 2019. Final payment deadline will be June 15, 2019. Artists with past due fees after June 15th will be removed from show. By applying to the Three Rivers Festival's Art in the Park I assume all responsibility to safeguarding of my products and my display at the Three Rivers Festival on Show Date. Exhibitors are responsible for insuring their own property. The Three RIvers Festival has the right to close the Three RIvers Festival if any unforeseen circumstances occur that would affect the safety of the event attendees or vendors. I agree to hold harmless the Three Rivers Festival, sponsors, partner organizations, coordinators, volunteers, or employees, for any damage, loss or injury resulting from my participation in this event. I agree to allow images of my work and likeness to be used in event-related publicity and/or materials. I agree that each item displayed will be my unique and original artwork, and to abide by all the rules and regulations set.